Country living at its finest! This 1,904 sq. 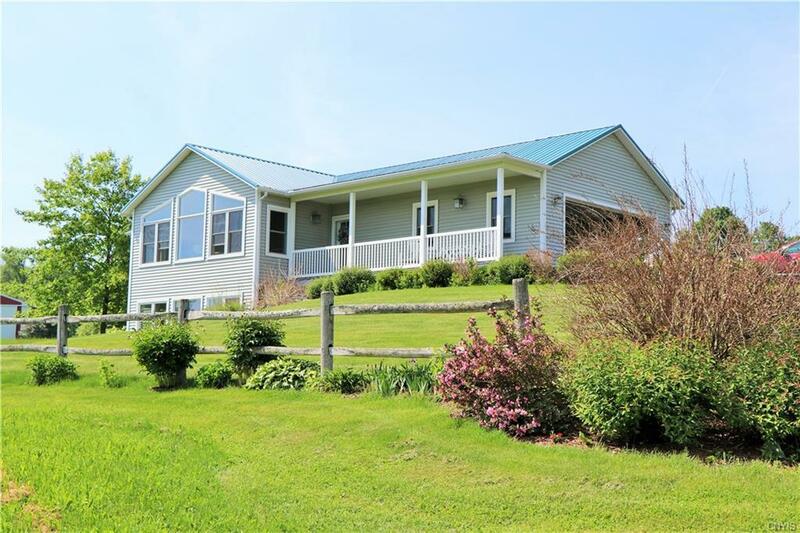 ft. home sits on 22.20 beautiful acres overlooking Otisco Lake. The views are spectacular! Features 3 bedrooms, 2.5 baths, separate (1) bedroom cottage for family or rental, large barn for horses or other animals or large equipment. 15 acres of this property is being maintained for hay. First floor master suite, living room, dining room with incredible views and natural light, adorned with gorgeous hardwood floors, fully equipped eat in kitchen with double convection ovens, first floor laundry, half bath, den/study. Stunning metal railing staircase leads to lower level family room, 2 large bedrooms, full bath, and plenty of storage. Relax on the front porch and enjoy the sunsets! Please call and schedule your showing today! WELCOME HOME!